The voice is sweet, youthful but not childish, just vibrant enough to hit all the marks of a call from a good friend who can listen and react. It is not the voice of a human. It is a chatbot to be exact. And oh, it can chat. Microsoft even has allowed it to call people on their phones. 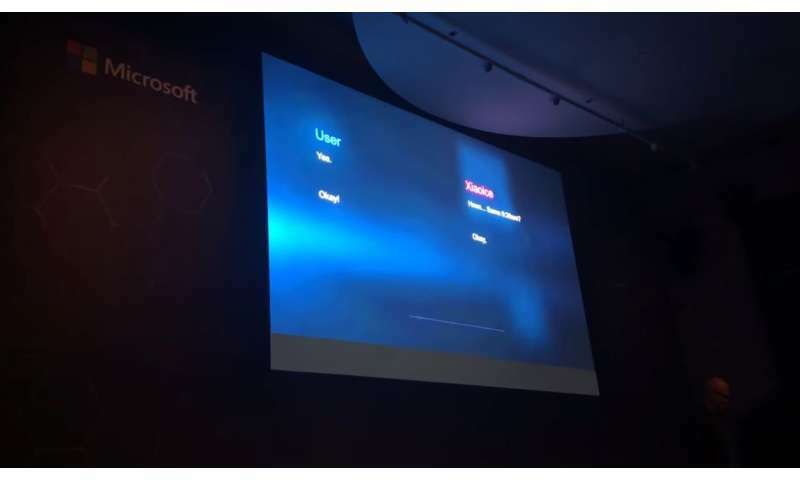 Microsoft has been testing its XiaoIce (SHAO-ICE) artificial intelligence bot in China for some time and, at an AI event in London, Microsoft CEO Satya Nadella drew worldwide attention over the Xiaolce social chatbot. It has "friends," along with over 16 channels for Chinese users to interact with it through WeChat and other messaging services, said The Verge. While most of XiaoIce's interactions have been in text conversations, said Tom Warren, Senior Editor, The Verge, Microsoft has started allowing the chat bot to call people on their phones. Allison Linn, a writer at Microsoft, quoted Microsoft's general manager for XiaoIce, who said the improvements "are part of Microsoft's effort to build AI-powered social chatbots that understand people's emotional as well as intellectual needs." That's where XiaoIce leaves Cortana at the technology crossroads. It's a social chatbot and Cortana wants to help you on a different level. "Unlike productivity-focused assistants such as Cortana, Microsoft's social chatbots are designed to have longer, more conversational sessions with users." Consider a verbal interaction with a botful of a humor, capacity for chitchat, playing games, and recall of details. What is special about this chatbot is that it can have a full duplex conversation where it can stop a chat on WeChat and call the user to use its own voice so the two can converse at the same time. (The term "full duplex" here refers to a conversation where both participants can speak at the same time; "full duplex" is quite something if you witness it for the first time. Even those who cannot understand the language in the video, it is nonetheless apparent, and intriguing, to hear a non-human voice intervene at times and keep up the flow. (The Verge reported that a demo showed how the bot can even predict what the person will say next, and respond quickly.) "In the video demo, XiaoIce interrupts the user mid-sentence to alert them that there are strong winds and they should close the window before bed." In the bigger picture, a social chatbot with the capabilities shown in the demo prove that Microsoft has been turning the tide on chatbot advancements. Angela Chen, who is a reporter for The Verge and fluent in Mandarin, commented that the voice "sounds really good." Is it yet clear if and when Microsoft will carry this in the West? While XiaoIce is a China story, The Verge mused that "it's arguably only a matter of time before this arrives for users in the US and other English-speaking countries." Warren said, "maybe we'll all soon be speaking to bots that are reminding us to close our windows and clean our teeth before bed."